Bolsters With All Due Respect team with 6 new additions. As the 2016 candidates keep piling up, so too do the journalists and staffers covering them. 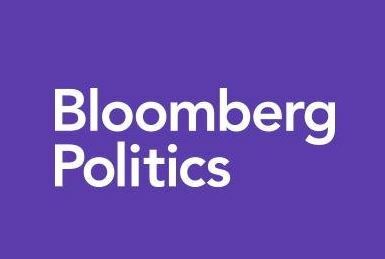 On Thursday, Bloomberg Politics announced the hirings six new team members in anticipation of their presidential campaign coverage — from producers and bookers, to analysts, researchers and reporters. The list of additions includes: Querry Robinson, Ken Goldstein, Sarah Scully, Alexander Trowbridge, Kendall Breitman and Sarah Muller. Querry Robinson joins Bloomberg Politics as the new lead booker for “With All Due Respect,” based in New York. Querry needs no introduction to anyone in political television news. He started his career at FOX News, followed by a decade at MSNBC’s Hardball where his work has yielded interviews with everyone from celebrities to presidential candidates, as well as President Obama a total of three times. Ken Goldstein will be our new political ads & polling analyst. Ken is one of the nation’s foremost experts in political advertising. He has worked on TV network election night coverage in every U.S. election since 1988 and is frequently interviewed across cable news, radio and in the country’s top newspapers and outlets. Ken also works as a professor of Politics at the University of San Francisco and Faculty Director of the USF in DC program. Sarah Scully is already a member of the Bloomberg family, but now joins us as a producer on “With All Due Respect.” Prior to WADR, Sarah was a producer at Bloomberg Enterprise, where she produced interviews with CEOs and other high-profile guests across the country. She has tons of experience on the campaign trail, working as a producer for the Independent Film Channel. She also produced a docu-series on the 2008 campaign (IFC News: 2008 Uncut) and a documentary on John Kerry’s 2004 presidential run (Going Upriver: The Long War of John Kerry). Alexander Trowbridge also joins us as a producer for “With All Due Respect.” Alex comes to Bloomberg from CBS, where he served as a digital reporter for CBSNews.com. There, he covered a wide range of topics, shooting and editing video packages, writing articles and reporting on camera. Prior to CBS, Alex worked for POLITICO as a video reporter, where he covered major events from Washington and the 2012 campaign trail. Kendall Breitman joins Bloomberg Politics as a researcher and reporter based in New York. Before joining Bloomberg Politics, Kendall was a breaking news reporter for POLITICO covering daily political news. Prior to that, she worked at USA TODAY’s Washington Bureau covering politics. Kendall graduated from American University with degrees in Law and Society and Journalism. Sarah Muller joins Bloomberg Politics as our new Social Media Editor, overseeing all social media accounts for the brand. Most recently, Sarah worked at MSNBC, where she managed social media and community initiatives, reported and wrote for MSNBC.com, and served as a senior digital producer. Prior to that, Sarah covered elections as a digital producer at MTV News and Comedy Central, working on the websites for The Daily Show and The Colbert Report.